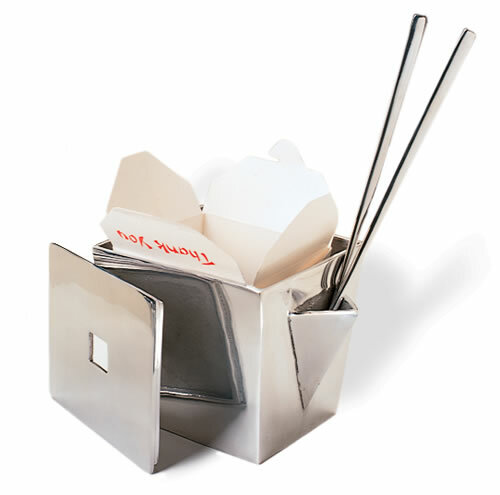 Turn Chinese takeout into a posh party with this polished aluminum takeout container, complete with lid, its own chopsticks and holder. From San Francisco designer Nima Oberoi. It measures 5 inches by 6 inches by 5 inches high. NOTE: set contains one container and one pair of chopsticks.